According to Calcalist News, Snapchat has acquired the augmented reality company Cimagine Media located in Israel for around $30-$40 billion. This Snapchat’s investment represents the first acquisition in the augmented reality world, as Cimagine Media is a tech company specialized in that area. This purchase will allow Snapchat to have a development center in the Middle East and hopes to expand the original team. Right now, Cimagine Media is composed of a group of 20 people. According to analysts, this purchase was not made only because of the advantages Cimagine Media as a company can give to Snapchat, but also for the workforce. The small 20-persons team is composed of high-skilled people in areas where Snapchat is very interested in, like computer vision and image processing. This company was founded only four years ago and has raised over $2 billion. The four co-founders of this company are one of the goals of Snapchat when acquiring the firm. Ozi Egri, Amiram Avraham, Nir Daube and CEO Yoni Nevo are high-skilled developers and specialists, adding more to the company’s value. According to TechCrunch, Cimagine Media is already working with a body of firms in the augmented reality field. Their LinkedIn web page says that Cimagine is collaborating with companies like Jerome’s, a furniture franchise in the U.S., the English digital retailer Shop Direct, and the huge Coca-Cola company. Cimagine Media is the company that developed the True Marketless Augmented Reality. This new technology permits users to place furniture and other appliances in their homes virtually from a smartphone to see how it will look like. Snapchat hopes to use this kind of technology in the future, in a similar move like the one they did with Starbucks this year. The social network company hopes to launch itself to the stock market next March. The IPO could value the company between $20 and $25 billion as Snap. Inc has expanded in the last months. In history, just 103 companies had started their shares in the U.S. market with a value of over $21.8 billion, according to Dealogic. 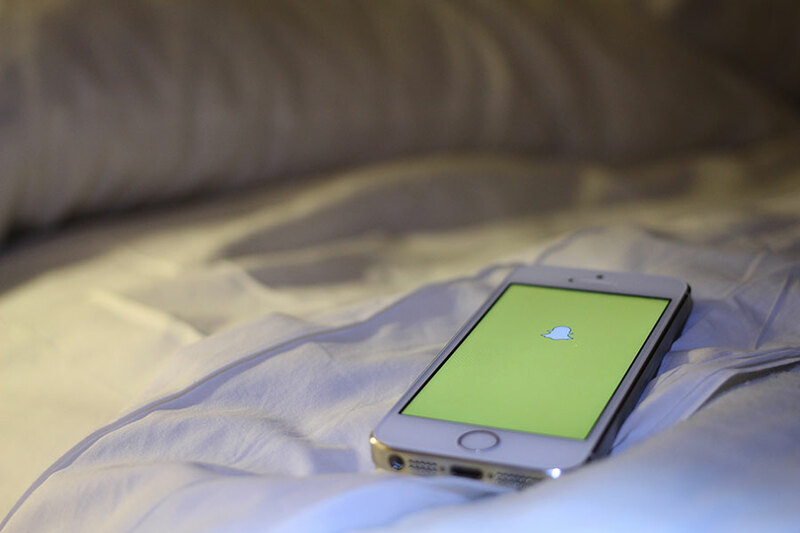 Snapchat has acquired a variety of small businesses in the last year. Among the most notable ones, there is Flite, and add tech company, Vurb, a mobile search company worth $110 million, and BitStrips, an emoji and bitmoji personalizer worth about $100 million. This year has shown Snap Inc. objectives and goals toward the future. They acquired companies and products from the Augmented Reality and Virtual Reality fields and expand their content regarding 3D technology. According to the company’s CEO Evan Spiegel, over 70% of the company is working on new products, especially after the acquisitions of several firms that permit a better and wider engineering team.